The use and prescribing of unlicensed medicinal products – pharmaceutical specials – in the equine veterinary industry has sparked debate among British vets, most of whom believe their use is essential to equine welfare. Pharmaceutical specials are tailored medications, produced in specific dosages and formulations to meet the particular needs of individual patients. They must be prescribed under the cascade and can have an important role in the treatment of the horse given limited availability of licensed medicines and challenges with formulations when using either animal or human medicines. 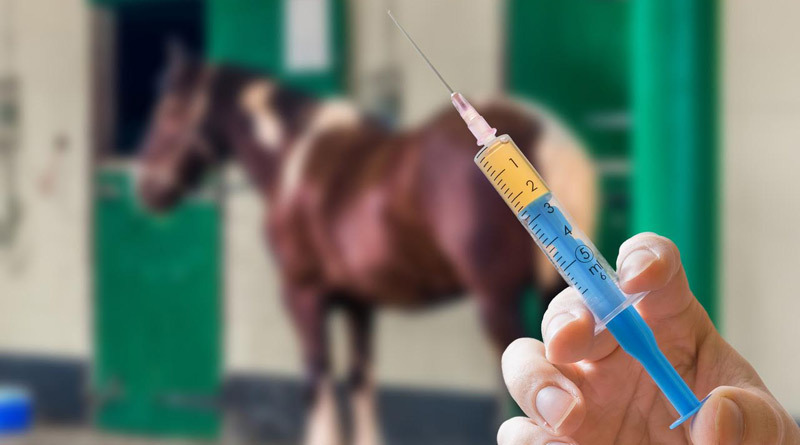 The cascade in equine practice applies some basic principles that allow veterinary surgeons to treat animals using drugs not licenced, or “off-label” for that condition in that species. Recent reports have accused vets of excessive cascade violations yet 81% of practicing vets confirmed that they use specials when unique formulations are not available in licensed form, with 76% opposing the motion Specials manufacturing in the UK will adversely affect equine welfare in the long term. The debate at the British Equine Veterinary Association’s congress last week, saw Linda Horspool, Director for companion animal and equine technical services at MSD Animal Health and Shaun McKane, Director at Cotts Farm Equine Clinic proposing the motion that specials will have a negative impact on equine welfare. Mark Bowen, Professor of Veterinary Internal Medicine at Nottingham Vet School and Bruce Bladon Specialist in equine surgery at Donnington Grove took the opposing corner. The debate was chaired by Richard Stephenson. With 65% of the audience disagreeing with the motion at the start of the session, two-thirds said they used specials at least once weekly. Some 81% of practicing vets also confirmed that the main reason they use specials is because they are unique formulations/combinations that are not available in licensed form and not because they are ignoring any red tape. Linda Horspool opened the session in support of the motion stating that as unlicensed products nothing within a special can be confirmed to be pharmaceutically equivalent to a licensed veterinary medicine. With no evidence base a special has not benefited from any safety or efficacy studies, which is especially pertinent in the case of antimicrobial use. While agreeing that the small-scale use of specials would continue to be necessary, Shaun McKane suggested that with no pharmacovigilance the larger scale or reckless use of specials could put horses at risk. The opposing panel of witnesses pointed out that things go wrong in the pharmaceutical industry too, and that given the lack of innovation within the pharmaceutical industry there would be significant treatment limitations if specials did not exist. For the opposition Mark Bowen first reiterated that there was a total lack of evidence for recent claims of cascade violations reported in the media. He went on to say “specials are there for our benefit. They’re there for the benefit of the animals we treat. They’re there to improve animal welfare.” He emphasised the essential role of specials to support good antimicrobial stewardship citing significant compliance problems with the use some water-based antimicrobial livestock medicines in horses. Proposing witnesses Andrew Harrison, a partner at Three Counties Equine Hospital and David Renney, a vet and founder of Nimrod Veterinary Products, reiterated concerns about the potential efficacy and safety of specials and their ostensible ‘illegal’ use. They also suggested that if more money was spent on specials there would be less money for R&D by big pharmaceutical companies, to the detriment of horse welfare. Opposing witness Michael Stanford, an exotics vet and claims consultant for the Veterinary Defence Society, said:“If we didn’t have specials we wouldn’t have zoos.” With a massive variety of species with different dietary requirements and preferences he said it was imperative to have options on medication flavours and presentations. Wearing his VDS hat he said that the VDS does not have any record of a vet being accused by the VMD of misusing the cascade. BOVA UK managing director Nick Bova described the rigorous process of becoming a licensed specials manufacturer in the UK. He explained that specials were “governed by the same medicine standards and audited by the same regulator as pharma” and that there is plenty of real-world evidence for safety and efficacy. He stated that specials manufacturers can fill the gaps left by pharma companies as well as lead innovation with new formulations to facilitate palatability, compliance and efficacy.